What Are Your 2018 Writing Intentions? Join Us for LUMEN No. 2 as We Discuss Ours! Happy Wednesday! We hope you’re staying warm and cozy this frosty January day, especially those of you who are bracing for winter storms out East this week. 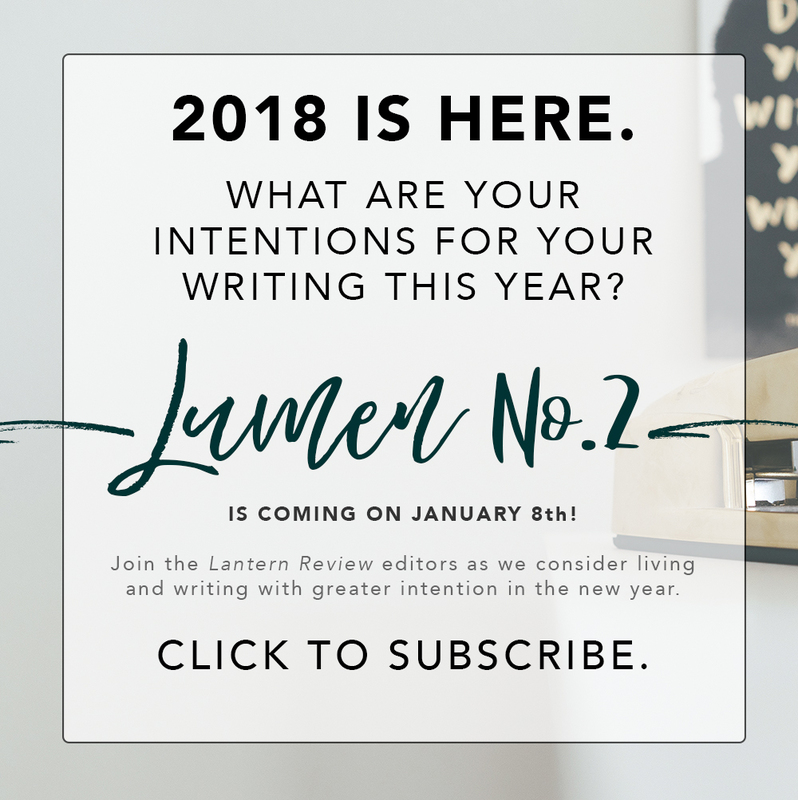 It’s been a season full of transition for us here at LR, but we’ve really been enjoying leaning into the seasonal rhythm of writing for our new, quarterly email newsletter, Lumen. And today, we’re super excited to announce that the second installment of Lumen will be hitting our subscribers’ inboxes next Monday! Lumen No. 1 focused on prompts and exercises for renewing one’s writing practice with the turn of the seasons, but Lumen No. 2 will be dedicated to considering the turn of the year—and specifically, the practice of setting intentions for our writing lives this year. A very happy, healthy New Year (and Year of the Dog) to you and yours—and may your writing in 2018 be filled with light, joy, and inspiration.